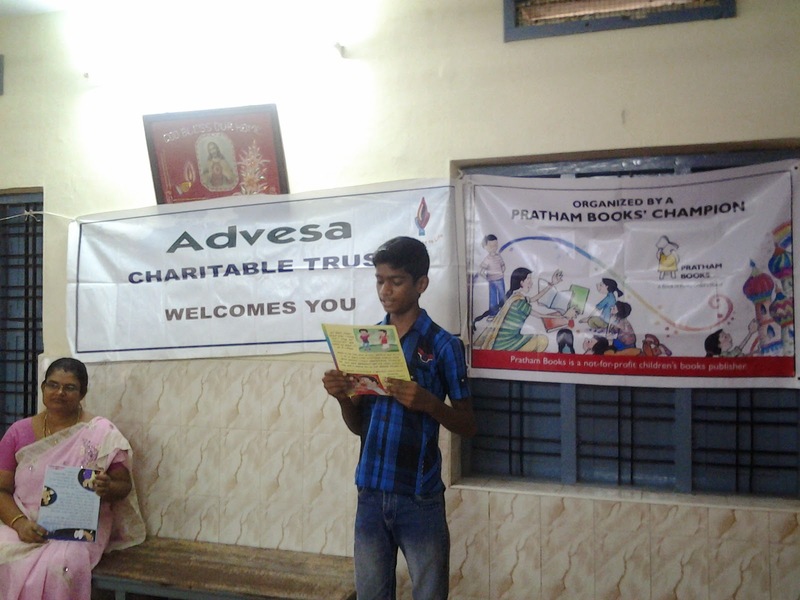 Advesa Trust sent us the following report about the storytelling session they conducted. 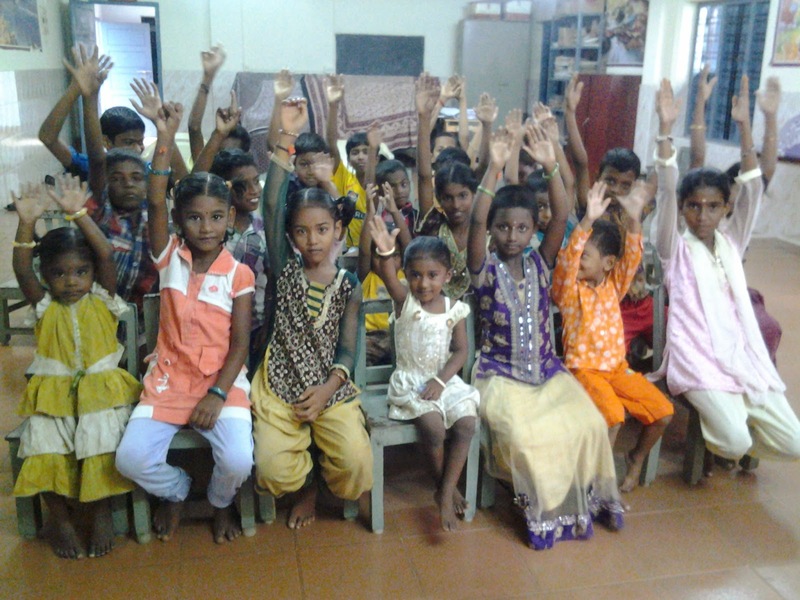 On September 8th, around 30 child members of Advesa's Alphonsa children's library gathered in the library hall by 10 in the morning eagerly to hear the story from Sushamma teacher.Though there were many story reading sessions dont by Advesa, this was special as they were doing it to help Pratham Books to promote the reading habit in children. As usual Librarian Sushamma teacher has organised the group and enthu chidren helped in putting up the posters. Advesa's Managing Trustee Dr Shanthi and volunteer Mr Vijayan were present. After a brief talk about the importance of reading, Mrs.Sushamma read aloud the story "Lion and the two children" given by Pratham Books. Sushamma teacher kept the children all ears during the story telling and we had a small chat about the story in the end. Few kids expressed their wish to read stories, so the stage was handed over to them for next 30 minutes. They read from the library collection, mostly the one page/ short stories with pictures. Then all took a pledge to maintain the reading habit and to tell others about its importance. We from the trust thanked Mrs.Sushamma and the kids for making it happen, as nothing is possible without them, especially on a Sunday. 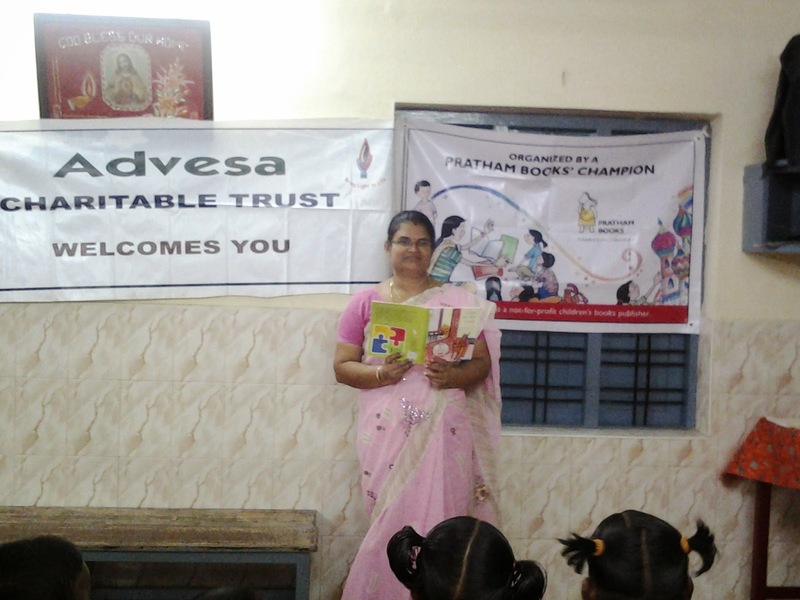 We wish to thank Pratham books for inviting us to do this and our Volunteer, Blogger Ms.Anitha for linking us both. We wish all happy reading for happy living!